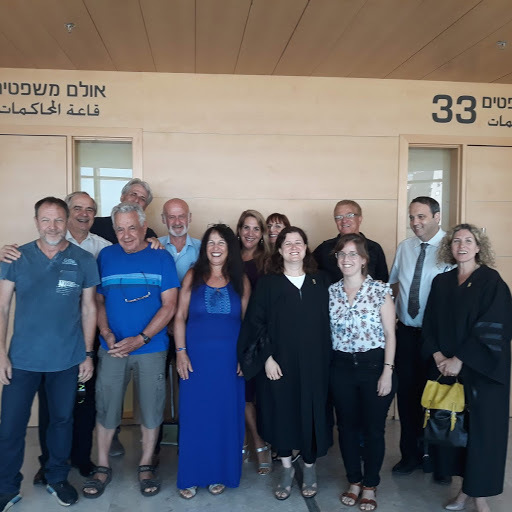 In the Summer of 2018 Kehilat Yonatan, Hod Hasharon’s Reform congregation, lodged an appeal through Israel’s Central District Court against the mayor, Chai Adiv, and city hall. Kehilat Yonatan was established in 2002 and is named in memory of the paratrooper Jonathan Boyden, who was killed by the Hezbollah in battle in Lebanon. The congregation has lodged its appeal through the Reform Movement’s Israel Religious Action Center. Kehilat Yonatan is a liberal Jewish community, that attracts thousands who live in Hod Hasharon and the vicinity. The Appeal related to the town’s deliberate procrastination in granting a building permit to the congregation. For the past 15 years Kehilat Yonatan has struggled to establish a permanent home for those in search of an egalitarian, pluralistic religious, culture and egalitarian alternative to the over 50 Orthodox synagogues in town. The congregation lodged its first application for land back in 2003 and has since submitted no less than four further applications. After years of procrastination, the town’s land allocation committee finally recommended in 2010 that the town allocate land to Kehilat Yonatan in Ha-Pa’amonit Street, but the mayor, Chai Adiv, who was recently appointed Honorary Chairman of the Jewish National Fund, rejected the recommendation and instructed his staff to start the process all over again and seek an alternative site. Members of the town council accused city hall of politicization and of taking extraneous considerations into account. In 2013 an alternative site was located and a contract signed between city hall and the congregation. In light of the earlier rejection, it was not easy to raise the funds to build, as potential donors questioned whether the project would ever get off the ground. As a result, Kehilat Yonatan was granted additional time to raise funds and submit architectural plans. The congregation met the deadlines set, but city hall had intentionally not extended the time specified in the contract to erect the building! Kehilat Yonatan submitted plans on two separate occasions, but the town, as owner of the land, refused to sign them. The manner in which city hall and its mayor have behaved over the past 15 years would appear prima facie to reflect an underhand attempt to discriminate against Kehilat Yonatan in light of its being a Reform congregation. As a result, the congregation reluctantly resorted to litigation to force city hall to issue a building permit and grant sufficient time for the congregation to put up a building. With the indispensible assistance of the Israel Religion Action Center, Kehilat Yonatan appealed to Israel’s Central District Court claiming that Hod Hasharon town council and its mayor, Chai Adiv, had discriminated against the congregation in their handling of its request for a building permit to erect a synagogue and community centre. The Court ruled in our favour! The Judge (an Orthodox Jew himself) criticized the mayor and the town council. In his ruling he stated: “I am saddened by the behaviour of the town’s representatives, including that of the mayor, who tried to avoid fulfilling their duty, primarily that of behaving decently.” Costs were awarded against the town.